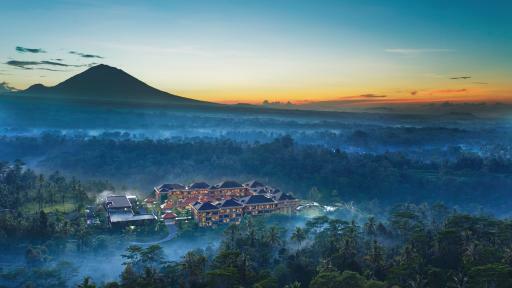 For those willing to traverse a little further an unforgettable, almost magical experience awaits at Padma Resort Ubud. Enveloped within the tranquil bamboo forest of Kintamani and overlooking a river valley, this luxury Bali resort offers guests contemporary facilities with a true Balinese ambience. Padma Resort Ubud features spacious rooms and suites, Club Lounge, Day Spa, Kids Club and a delightful choice of dining venues, all overlooking the stunning forest and valley below.